Dr Karen Block has an interest in qualitative methodologies, mixed methods research and research ethics. She is currently working on a range of projects involving children and young people with a focus on social inclusion, health inequalities, evaluating complex interventions and working in collaborative partnerships with the community. 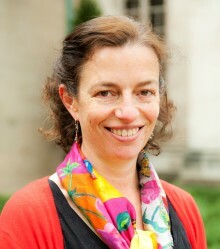 She is an active member of a number of interdisciplinary groups including Researchers for Asylum Seekers (RAS) and the Melbourne Refugee Studies Program.